Construction of any project involves the designing and building of structures that are meant for a particular use. It also requires the assembling of all the infrastructure that is needed for making the project of utilitarian value. Most construction projects require preparing the site, providing the necessary foundations, completing the structure, and then putting in all the mechanical, electrical and plumbing services that are needed to make the building or structure functional. Housing is a basic need for humans, and residential development can again be of many different types, like cottages, single unit dwellings, houses, apartments, condominiums and others. These buildings are designed by architects and need to follow local laws and building codes. Investing in a housing for rental income can also make for sensible property acquisitions. Commerce is a vital part of any society, and this requires the building of structures that are geared to accommodate a large number of people who will come to these buildings for carrying out certain commercial activities. It is necessary to pay a lot of attention to safety and security in the design and construction of these projects. 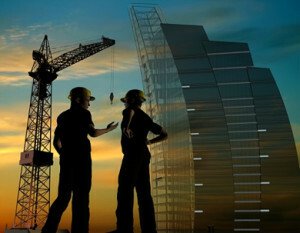 Institutions like schools, colleges, hospitals, sports facilities, stadiums, large shopping malls and various buildings for public use are projects that need a lot of attention to their individual use and have structures designed to take all the loads and provide the infrastructure that people using and visiting the buildings will require. The requirements of local authorities for the provision of infrastructure needed by citizens may also be part of these institutional projects. Industries need many specialised construction structures that will be required to fulfil the particular requirements of each industry. These projects will require its builders to have specialized knowledge about the industry before the designs and construction of these projects can commence. Buildings will have large spans and heights, need installation of heavy lifting equipment, and have extensive requirements for power and water. Quite often these added needs can be significant construction projects in themselves. They will also involve the installation of machinery that is meant to carry out the production of the items that are part of the commercial activities of the industry. Transport related construction projects may require the construction of roads, bridges, culverts, tunnels and can also include rail lines, airports, and ports. Each of these projects requires specialized knowledge and the extensive use of heavy machinery. Ports require the construction of underwater and marine structures. Maintaining these projects to allow them to provide the required service is also quite often quite demanding and also needs adequate attention from engineers. Heavy construction projects can involve the building of dams, sewage treatment plants, filtration plants, flood control, dredging and many other projects that often fall in the domain of governments. Every construction project needs adequate attention from technical staff and engineers who are experienced in each type of construction.